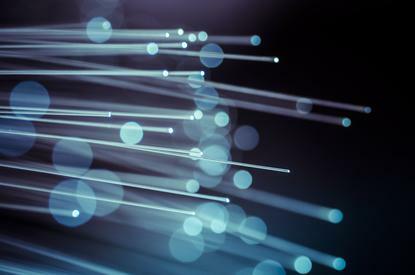 Research and Education Advanced Network NZ (REANNZ) has activated capacity on the new Hawaiki Cable saying it provides the first dedicated, high-speed connection to the US for New Zealand researchers, enabling them to be partners in world-leading research collaborations. In July 2014 REANNZ became an anchor tenant of the Hawaiki Cable and will pay $65 million over 25 years. This figure includes $15 million contributed by government to support a second cable entrant to New Zealand. In March this year REANNZ announced it had selected Vodafone and Chorus to provide fibre backhaul services to connect its backbone national research and education network to Hawaiki's cable landing station at Mangawhai Heads in Northland. In that announcement, REANNZ said it would have initial bandwidth of 40Gbps on Hawaiki, growing to more than 4Tbps over the course of the contract. REANNZ chief executive Nicole Ferguson said the new capacity meant that researchers no longer had to resort to using couriers and external hard drives to transfer big complex research around New Zealand or around the world. REANNZ is part of a collaborative, global network of over 120 national and regional research and education networks and Ferguson said researchers would benefit from "what is in effect, a private network for the research sector, with shared protocols and practices to transfer big, complex traffic, with an added layer of security and a shared commitment to zero data loss." At an event to launch the new link, at the University of Otago, Dr Sandhya Ramrakha from the Dunedin Study — that has followed 1,000 people from birth to now age 45 — showed how her team is using the Hawaiki Cable capacity to transfer hundreds of encrypted MRI brain scans, comprising millions of ‘data slices’ to Duke University in the US for analysis. She said that, in the last month, Duke had made around 37 million file transfer operations during the daily data synchronisation processes. “This neuroimaging collaboration with Duke was made so much easier and seamless with REANNZ’s network and this new capability. Our collaborators at Duke can check the data in real time."